The overhaul would let smaller, regional lenders avoid the more stringent capital rules for the most systemically important institutions. Regulators have proposed a softer oversight regime that dials back rules for U.S. banks considered unlikely to pose a threat to the financial system – a step meant to limit the toughest demands only to the largest lenders. Responding to legislation that called on federal agencies to ease compliance burdens for non-Wall Street banks, Federal Reserve governors voted Wednesday on a plan that would separate megabanks from smaller, regional lenders. Under the proposals, banks such as U.S. Bancorp, Capital One Financial and PNC Financial Services would escape the most stringent capital rules reserved for systemically important institutions. 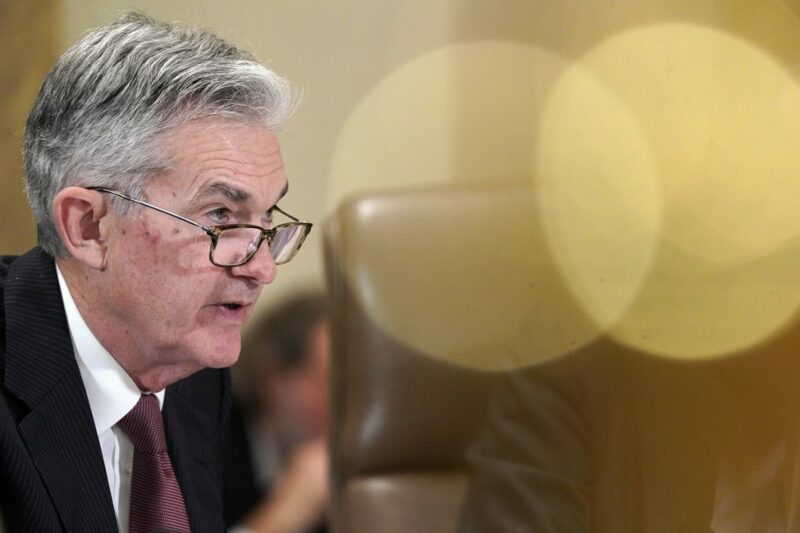 “The proposals before us would prescribe materially less stringent requirements on firms with less risk, while maintaining the most stringent requirements for firms that pose the greatest risks to the financial system and our economy,” Fed Chairman Jerome Powell said in a statement. The revamp from the Fed – portions of which will be issued jointly with the Office of the Comptroller of the Currency and Federal Deposit Insurance Corp. – would “significantly reduce regulatory compliance requirements” on mid-sized institutions. That will mean an estimated $8 billion less in overall capital for the industry, a liquidity demand lowered by several billion dollars and reduced compliance costs, according to a Fed memo. In the new system of tiers, banks will be evaluated on not only total assets but also their dependence on riskier short-term funding, their scale of off-balance sheet exposures and how much business they do outside the U.S.
For banks between $100 billion and $250 billion in assets, including SunTrust Banks Inc., KeyCorp and Fifth Third Bancorp, the regulators plan to significantly reduce demands for how much easy-to-sell assets they keep on hand for a funding emergency. They’d also be put on a two-year cycle for stress tests. Banks above $250 billion or smaller firms with higher risk factors would have some tougher demands tailored to how complex they are. But those that aren’t systemically important would have a much-reduced liquidity requirement – as little as 70 percent of the current level. The threshold for “advanced approaches” banks – the global giants – would be raised significantly. Fed Governor Lael Brainard, an appointee of former President Barack Obama who was at the agency when some post-crisis bank regulations were approved, opposed the proposals. She said the overhaul goes far beyond what was called for in the recent law and would “weaken the buffers that are core to the resilience of our system.” She argued that weakening rules to this degree “raises the risk that American taxpayers again will be on the hook” to bail out banks should there be another meltdown. Randal Quarles, the Fed’s vice chairman for supervision, defended the proposals, saying banks with less than $250 billion “for the most part do not exhibit meaningful levels of interconnectedness and complexity,” so they don’t pose significant risks to the system.